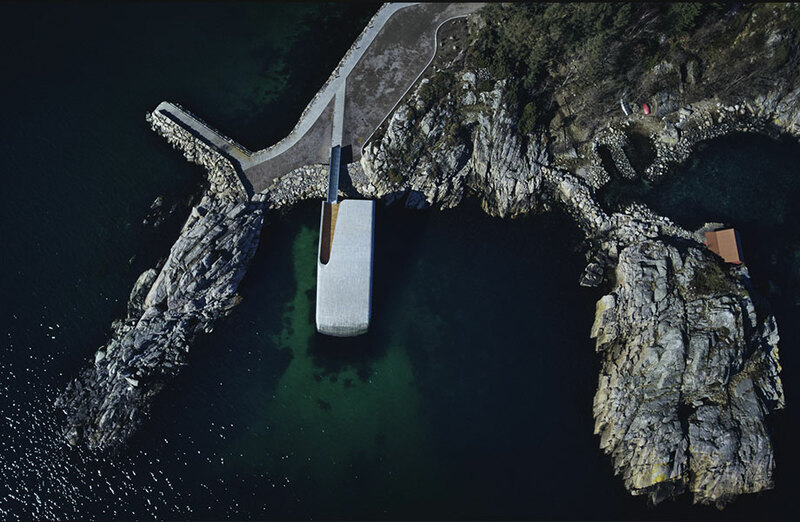 Situated on the rocky coastline of Norway’s southern tip and half-sunken into the sea, Europe’s first “underwater” restaurant opened this week. 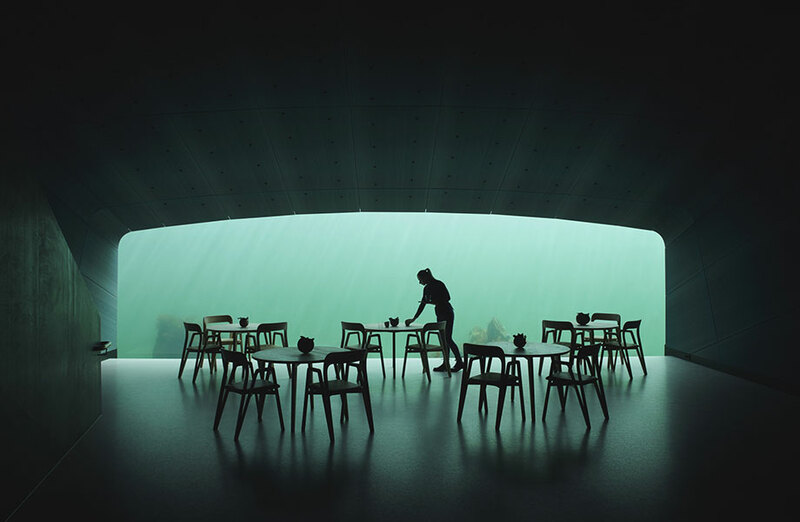 Designed by architect Snøhetta, construction of the 495sq m restaurant, named “Under”, took three years to complete. 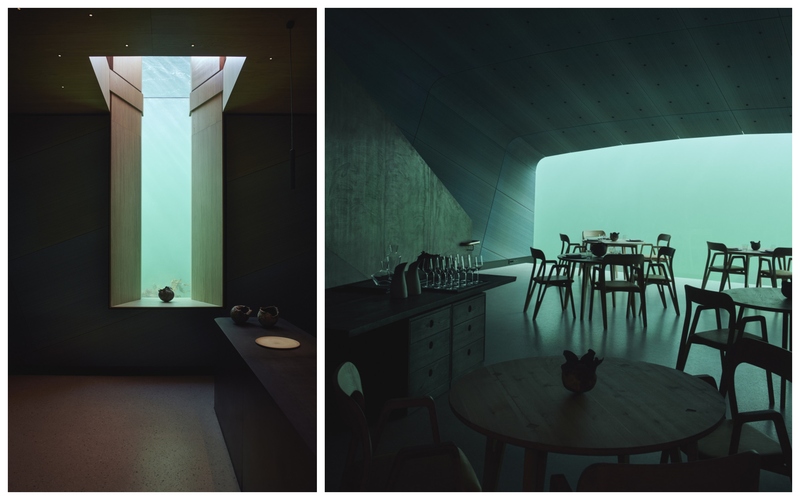 Its dining room, which is protected by half-metre-thick concrete walls, sits five metres below the sea’s surface. 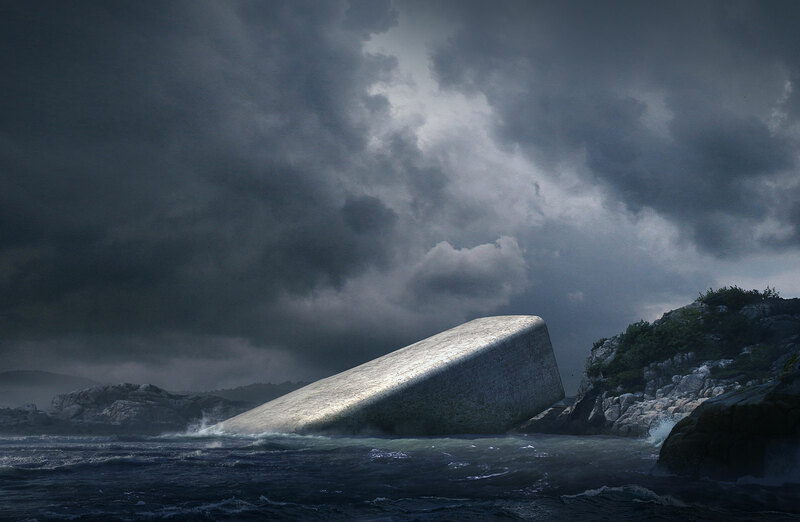 The building’s 34-metre long structure is half submerged, breaking the ocean's surface. Snøhetta founder and architect Kjetil Trædal Thorsen describes the restaurant as a story of contrasts. 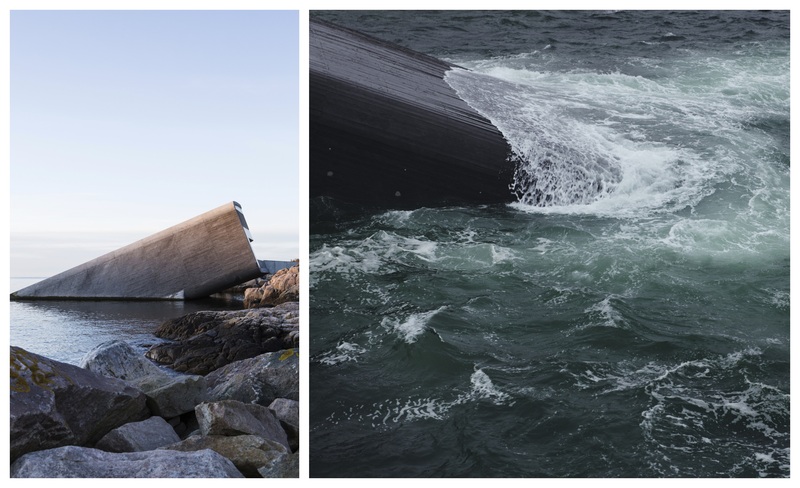 Thorsen said the roughness of the restaurant’s concrete exterior will grow an artificial reef, encouraging limpets and kelp to inhabit. The restaurant also functions as a research centre to study local marine life. “Marine species flourish here in the both briny and brackish waters to produce a natural abundance in biodiversity at the site,” Thorsen said. With a special emphasis on sustainable wildlife capture, the restaurant’s culinary focus is on, very, locally-sourced produce. Danish expatriate Nicolai Ellitsgaard is the head chef of Under, which can seat 35-40 dinner guests.